Mackeral is a beautiful fish. It’s my favorite too. And I guess many fish lovers would share the same sentiment. It is a firm-fleshed flavorful fish which is high in nutrients and low in fat. And Mackeral Fish Fry? Oh, Gosh! Mackeral is also known as Ayala in Malayalam and Bangda in Hindi. This fish is available in abundance across coastal belt of Arabian sea – especially Kerala, Mumbai and Goa. Ha! 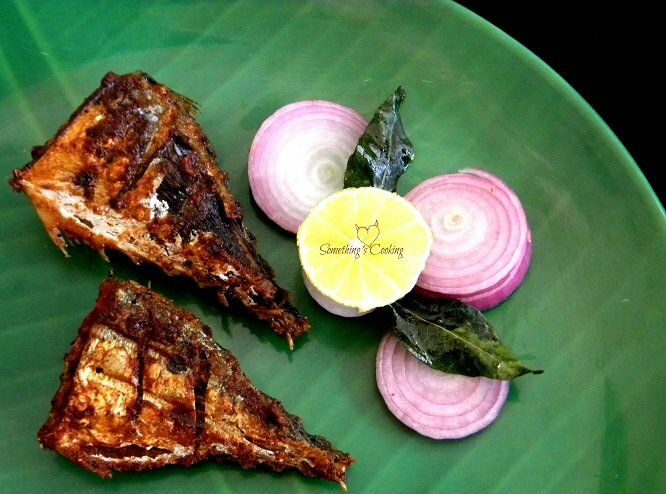 That reminds me of the popular Mollywood song ‘Ayala porichathundu karimeen varuthathundu‘, where the heroine sings and asks her husband to have lunch with her, for she has prepared Mackeral Fish Fry and Fried Pearl Spots. Oh yeah! I did sing this song when I made lunch today for it has been so long since we’ve had the luxury of having this fish. Oh, I will any day return to my home in Kerala just to have the exotic seafood! Mackeral Fish Fry is prepared by marinating the fish pieces with spices and then shallow frying them. Quick and easy to prepare, the spice mix enhances its flavor. Cooking with Mackeral is easy peasy. Fry it or make a curry with it, it tastes equally good. 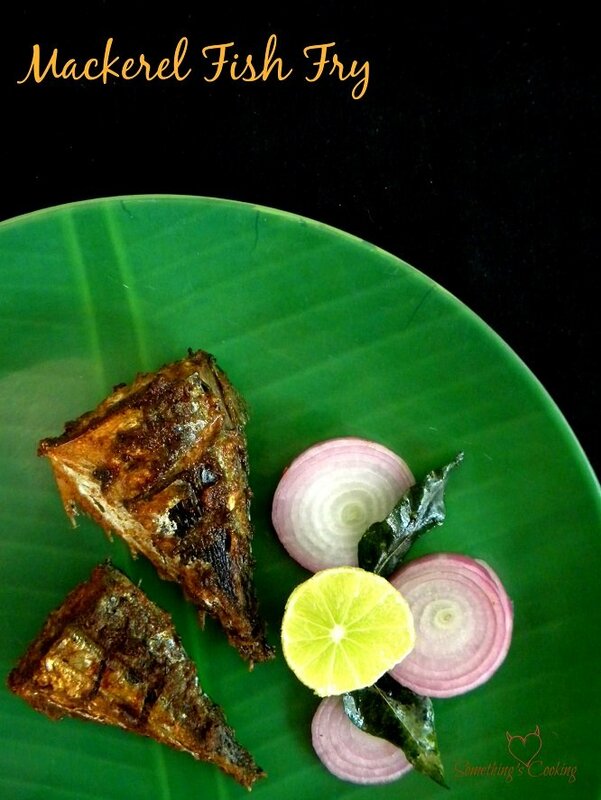 You should check out the beautiful Kerala Style Mackeral Fish Curry and other fish recipes as well. Wash and clean the fish. Make gashes as that when it is marinated, the spices would get into the flesh. Crush the pepper, cumin, and coriander seeds in a pestal-mortar and place into a bowl. Crush the ginger and garlic and add to the bowl as well. Mix in the chilli, turmeric, salt and juice from the lemon to make a paste. Smear the paste over the fish. Shallow fry the fish in a frying pan on a gentle heat for about 4-5 mins on each side. Drizzle a little oil over the fish, at the end so that it will crisp up. Serve with onion slices and lemon wedges. You can use whole fishes or fillets. Make gashes/slits on both sides of the fish, else there will be a bit of difficulty getting the masala paste adhering to the shiny skin. I Love Fried Fish. We also use the same spices. You make me crave for fish Shalz. Here in Chhattisgarh we do not have much options especially no sea food. I miss all those great fish and crabs we used to have back home. Yay. Thanks, Pratikshya 🙂 I hope you get to eat too soon! 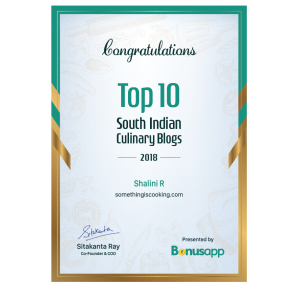 How yum that looks, Shalini. Perfectly fried and simple to make 🙂 Let me give it a try. I will definitely try this because I love fish. Shouldn’t have seen this now during Lunch time! Sigh! Hee 😀 Thanks for dropping by, Naba. I hope you try this one soon! I love it… I totally love it… Let me see if we find this variety here. I am very bad with recognizing fishes… The only one I prepare and eat it is Salmon. Will try this. Thanks, Raj. I hope you try this one soon! Oh, that looks completely delicious. Thank you for the recipe. I may try it one of these days. Thanks much, Alice 🙂 Welcome to my space! This is a delicious recipe.Loved how quick it is.Pomfret is another fish that tastes yummy when prepared this way.